‘Sir’ Richard Branson may be the Julian Assange of British business, in that both believe the world revolves around them. Hence Branson’s decision to set up an air service between Manchester and London, above the route of the train line that’s been taken from him. I’m out here to represent the gingers, the gypsies, and the outcasts. Because I am all of the above, and I’m all about having a great time. I have a nest egg, and I don’t buy above my means. I think you can go from being not very funny to working really hard for 10 years and figuring out how to make a living on the road, but I don’t think you can rise much above that. My daughter loves singing above all else. I’m severely overrated. I’m just above a hack. 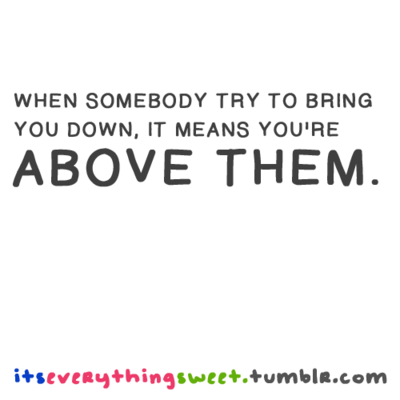 When somebody try to bring you down, It means you’re above them.